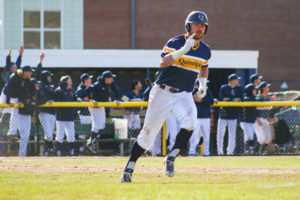 The Quinnipiac Bobcats baseball team defeated Monmouth, 8-3, on Saturday in its home opener to keep its undefeated record in MAAC play alive. Head coach John Delaney was pleased that his team was able to get the win, but wants his team to take each game one at a time. 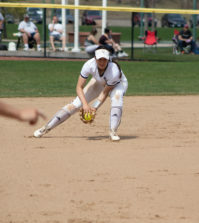 The Bobcats (12-15, 4-0 MAAC) were held of the scoreboard the first four innings, until they were able to score six unanswered runs in the fifth inning. 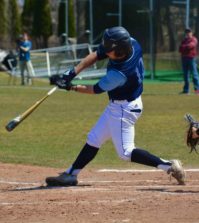 One of the main contributors was junior first baseman Liam Scafariello who hit a three-run home run to extend the lead to 6-1. Scafariello is second on the team in home runs with five and first on the team in RBIs with 26. Scafariello was glad to get the win, and that he was able to come up with a home run in a big spot. 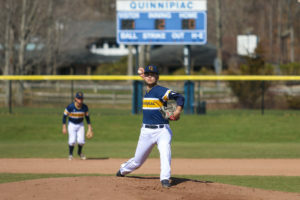 The Bobcats defense also played a big part in the victory as senior right-handed pitcher Taylor Luciani was able to pick up his fourth victory of the season and allow only one earned run in six innings pitched. Luciani thought he could of pitched better, but was thankful for his defense to pick him up in certain spots. Luciani’s performance also opened the eyes of his coach, who knew that Luciani could perform in high pressure spots. 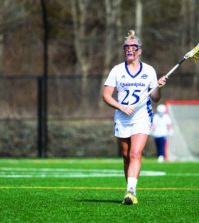 Quinnipiac will play Monmouth again on Sunday, but this time they will play two games and Delaney expects those games to look much different than Saturday’s game.